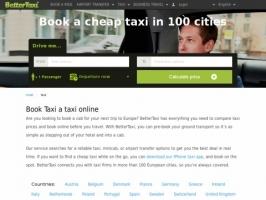 Find the best taxi offers in Europe. More than 100 cities. Book Cheap Taxi Services Online or by Taxi app with Better Taxi.